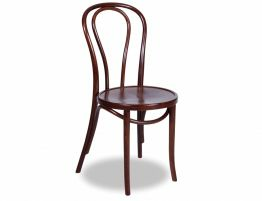 Our original Vienna Café chair designed by Michael Thonet is constructed from Beech wood and is featured here in a warm walnut finish. 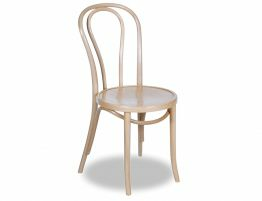 The timber seat of our Michael Thonet No.18 original is embossed with a beautiful, subtle starburst pattern like a Japanese sun. 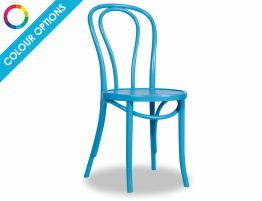 This beautiful seat detail adds a distinctive, custom feel to an already stunning chair. 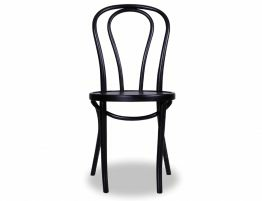 Our Michael Thonet designed No.18 original chair is incredibly durable making our Vienna Café chair suitable for both commercial and residential use. 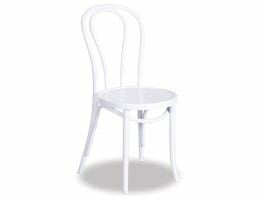 Ideal for use in your kitchen, our No.18 kitchen chair works well with many different table styles. If you do happen to make a purchase of one of our Original Bentwood items you can be sure that they are Made in Poland like they have been for over 150 years. With each original bentwood item purchased from Relaxhouse you are acquiring a little piece of history. These are hand made using a combination of heat, steam and pressure in a time honoured tradition of man versus nature. Just like us no two are the same. Enjoy.